I was so very pleased to hear that Purex came out with baby laundry detergent, especially because we were expecting our second baby. We use Purex for all of our laundry and now we can feel comfortable knowing that our babies skin will be protected with a nice gentle free detergent without the hefty price tag that comes with those other baby detergent brands. We have been using the Purex baby laundry detergent and it has worked out great... 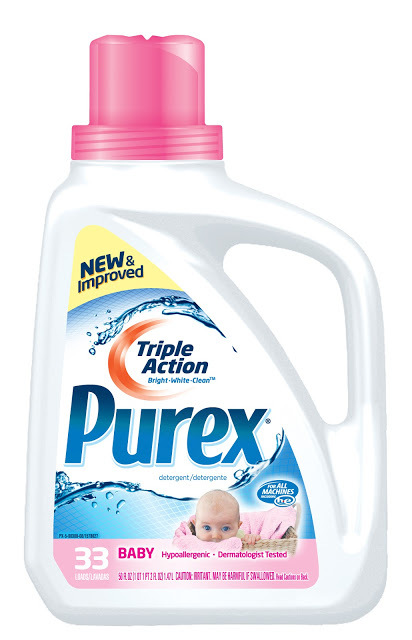 I highly recommend the Purex brand and their new baby detergent!